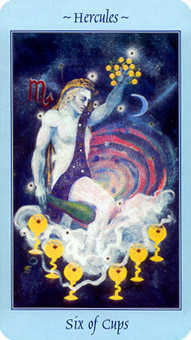 You need to be more powerful, directing the flow rather than following. 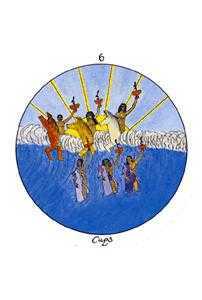 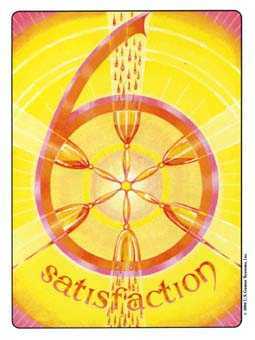 The Six of this suit generally represents a refreshing openness and innocence, a willingness to learn and an optimism that things will get better as we advance together in understanding. 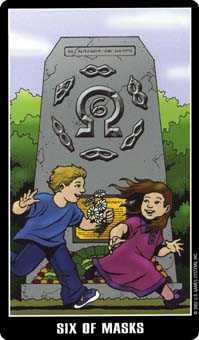 The traditional title, The Past, reminds us of our original nature, when we were young and enthusiastic, when anything was possible and the future was an open book. 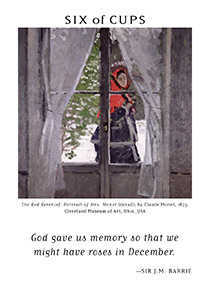 We are to remember that this same freshness, those new possibilities, are always available to us, even now. 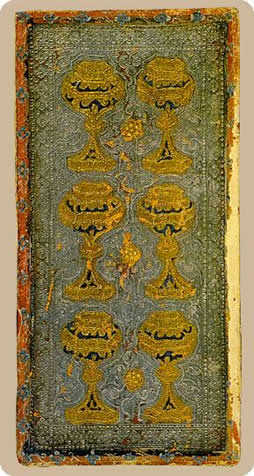 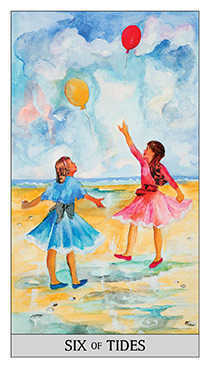 Look at your past as a repository of wisdom to be applied judiciously in the present. 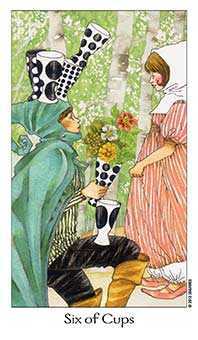 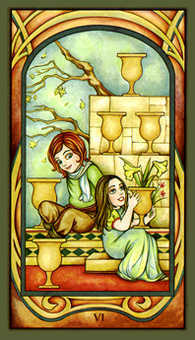 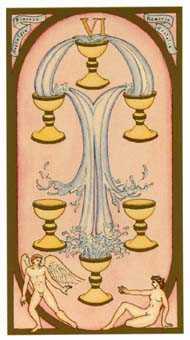 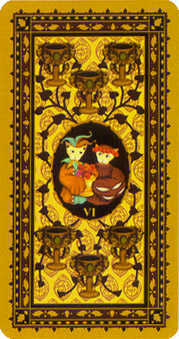 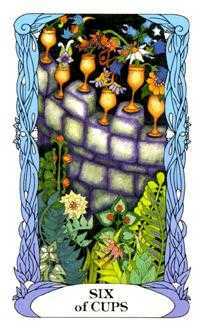 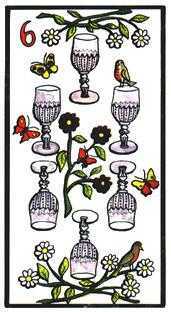 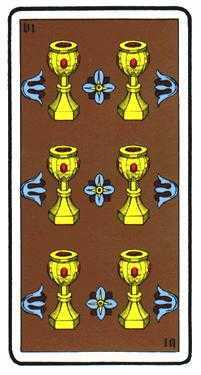 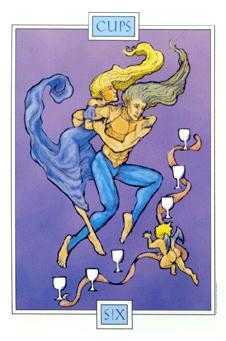 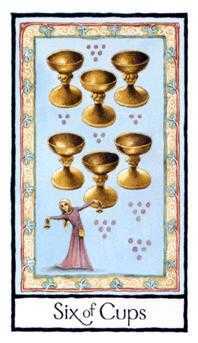 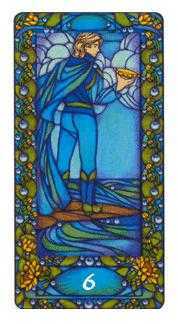 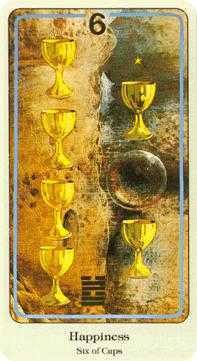 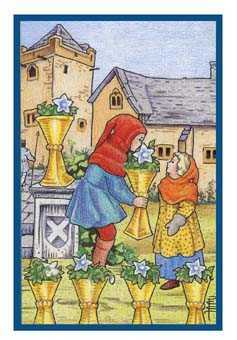 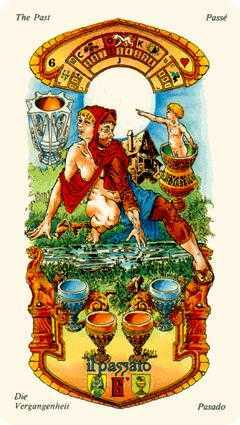 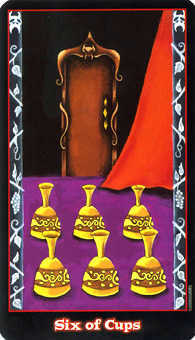 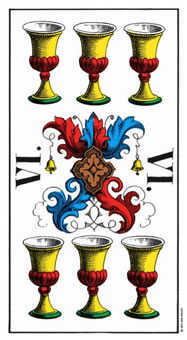 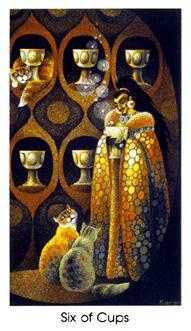 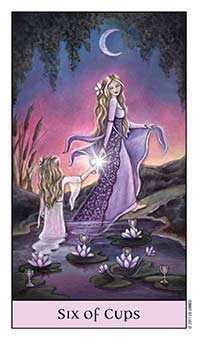 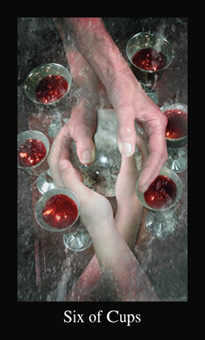 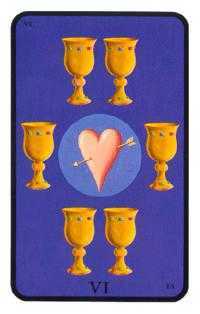 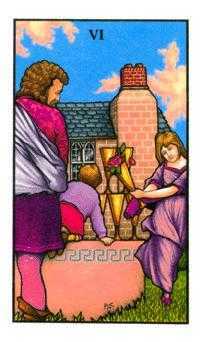 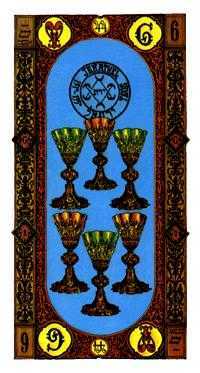 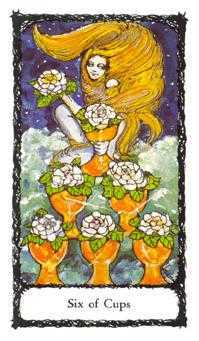 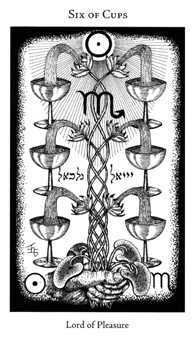 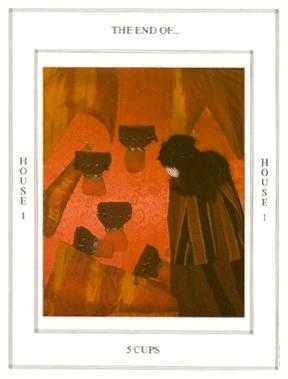 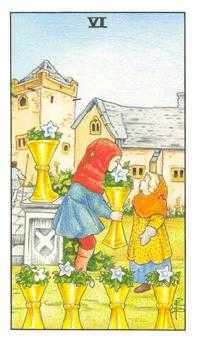 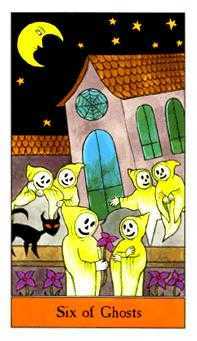 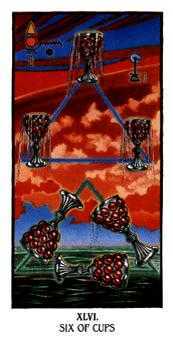 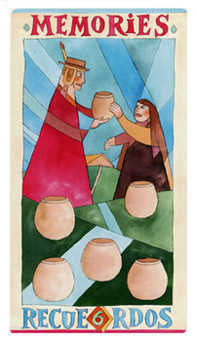 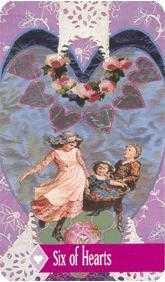 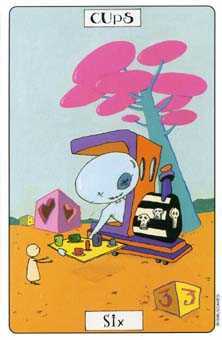 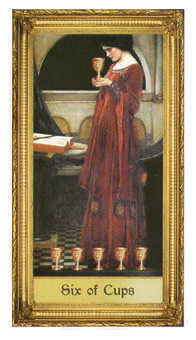 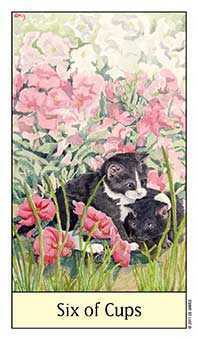 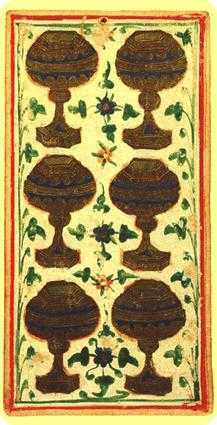 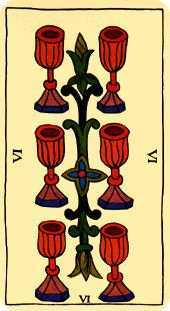 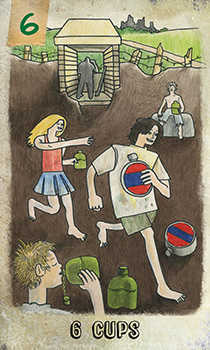 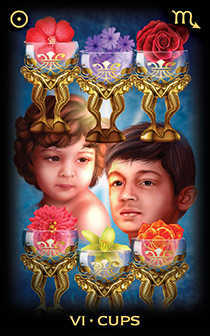 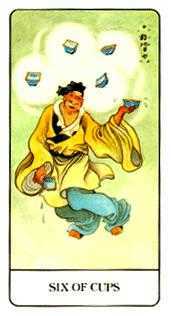 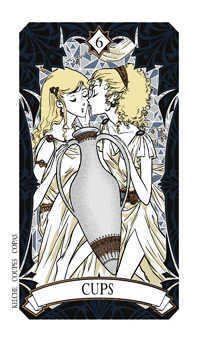 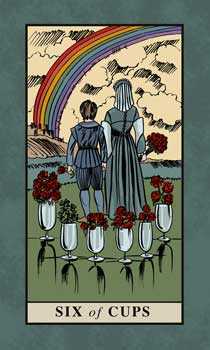 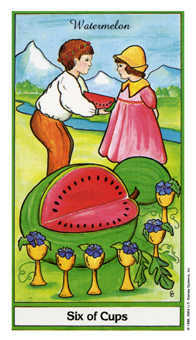 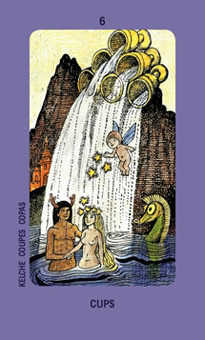 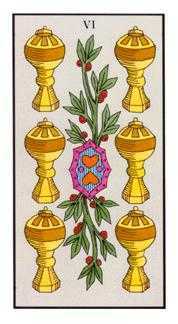 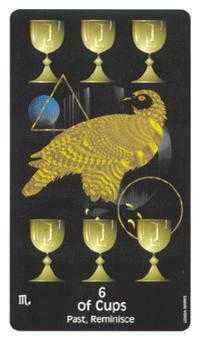 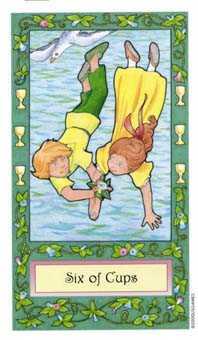 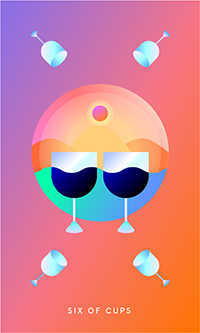 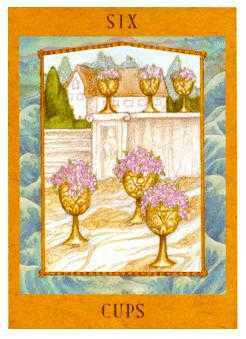 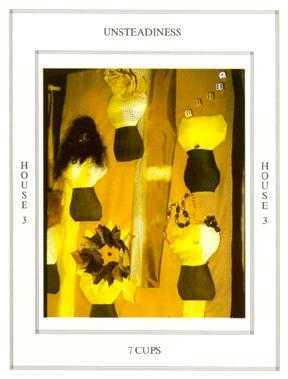 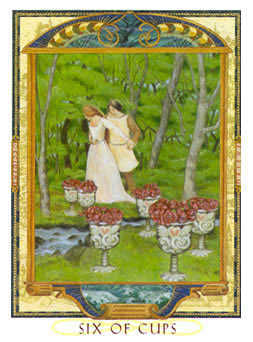 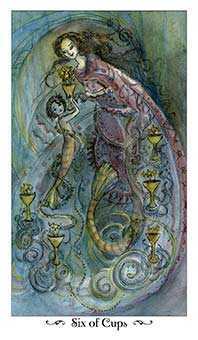 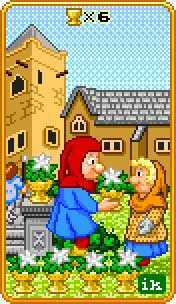 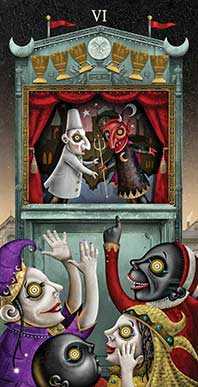 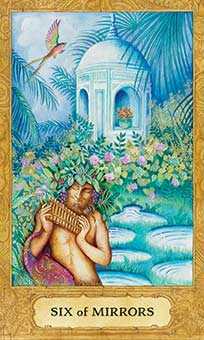 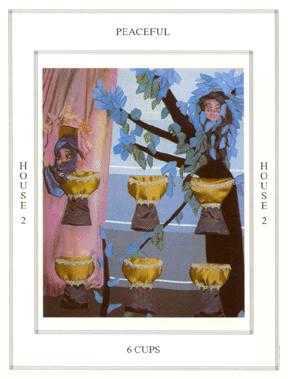 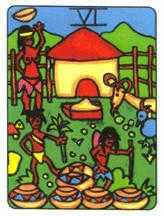 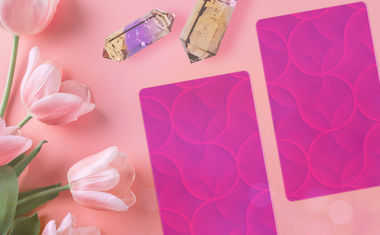 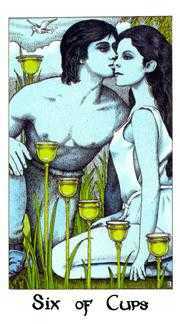 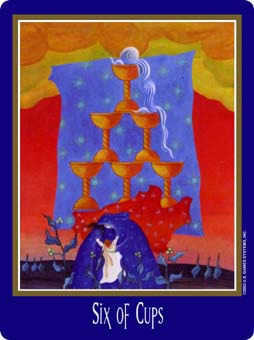 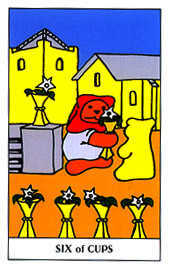 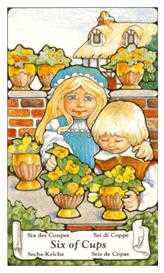 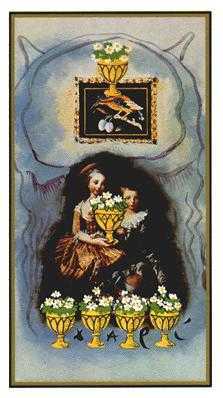 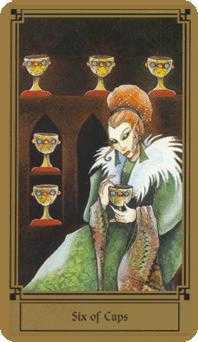 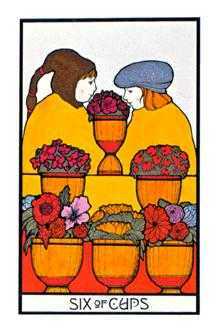 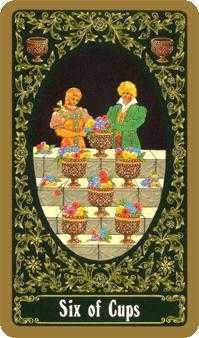 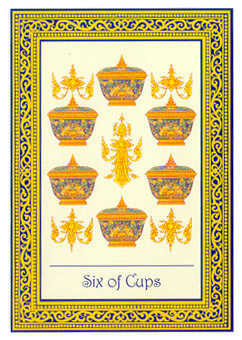 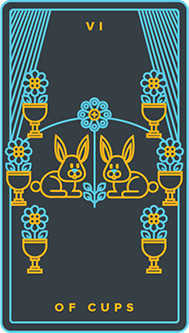 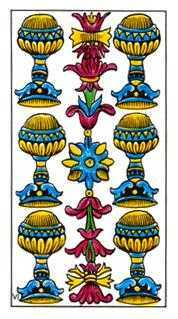 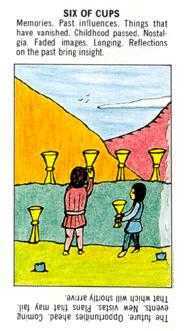 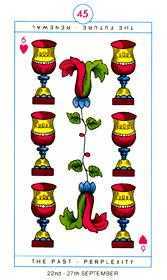 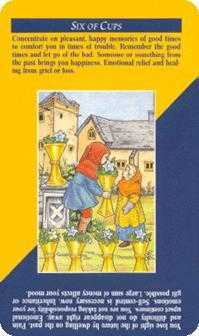 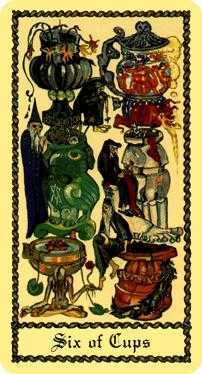 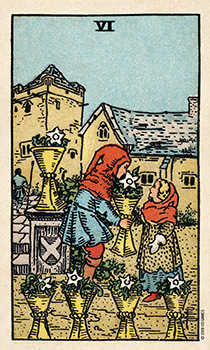 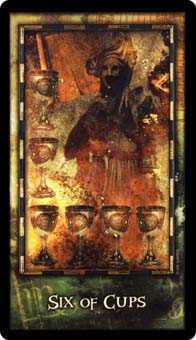 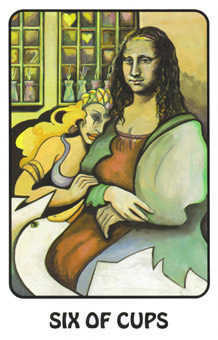 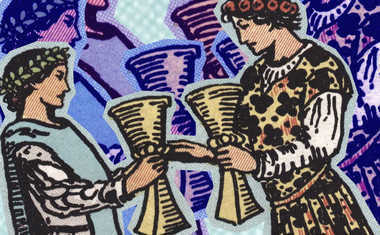 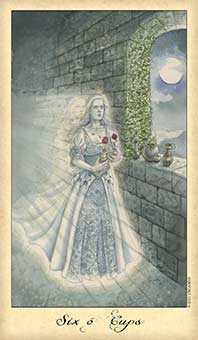 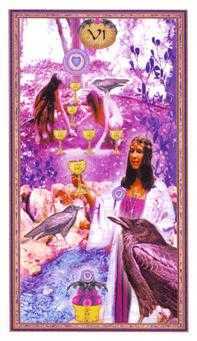 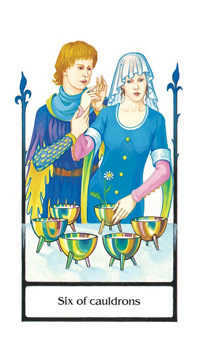 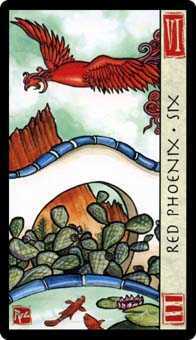 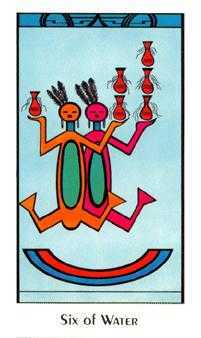 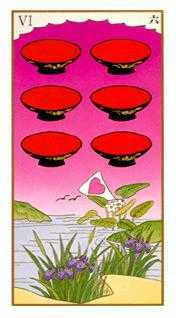 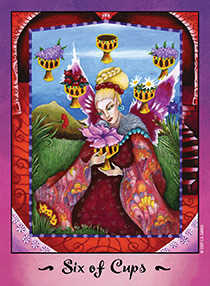 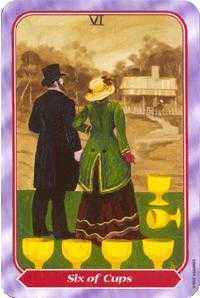 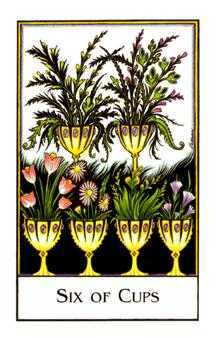 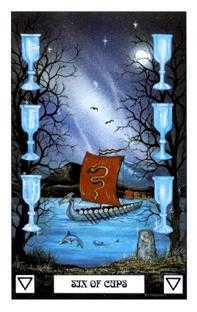 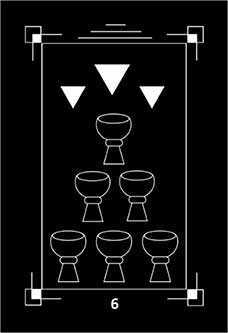 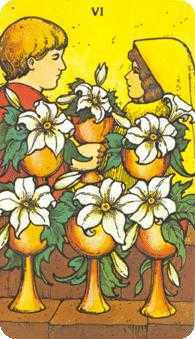 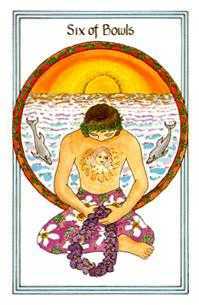 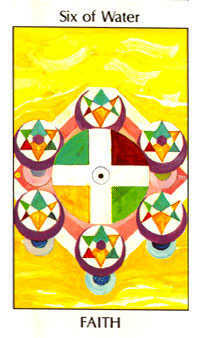 When the Six of Cups is in this position, take a look at what is repetitive or cyclical in your life; what links the present situation to the last such experience. 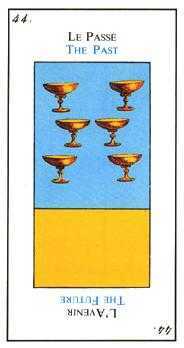 A new beginning requires new energy and concentration. 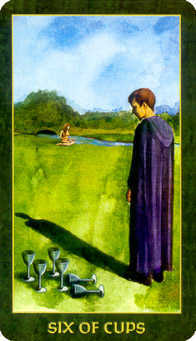 Until you analyze the past, you will continue to drift with its current. 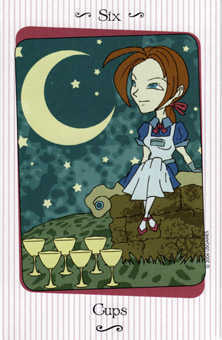 Distill everything that is worthwhile from your memories and get as much value from it as you can. 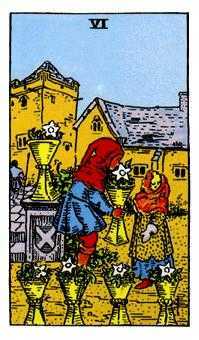 Then use this as motivation for change. 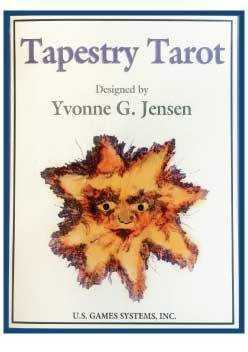 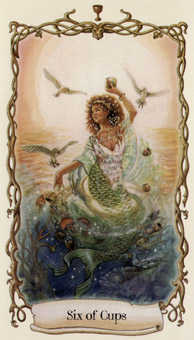 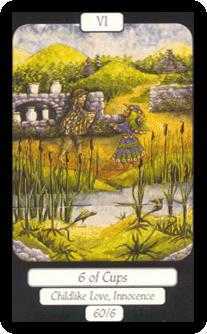 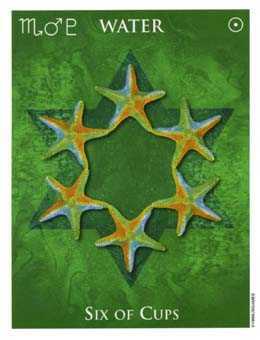 Make the very best use of hindsight, employing new strategies and trying new angles on these recurring issues.